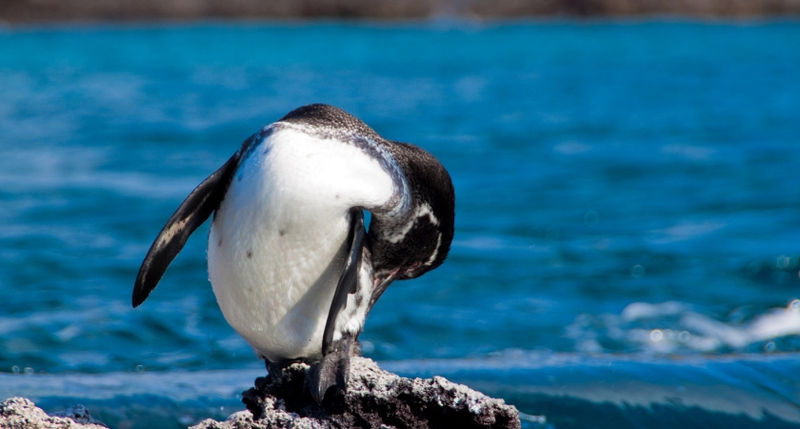 The Galapagos penguin is endemic to the Galapagos Islands. You can find 95% of them on the islands of Fernandina and Isabela and the remaining 5% on Bartolome, Santiago, and Floreana.  They are the only penguin species that have reached the waters in the northern hemisphere. This means their habitat is warm and tropical, reaching temperatures between 59- and 82-degrees Fahrenheit (15 to 28 degrees Celsius).  The Galapagos penguin has the smallest population of any other species of penguin, meaning that they’re approximately 1,800 existing in the Galapagos Islands. 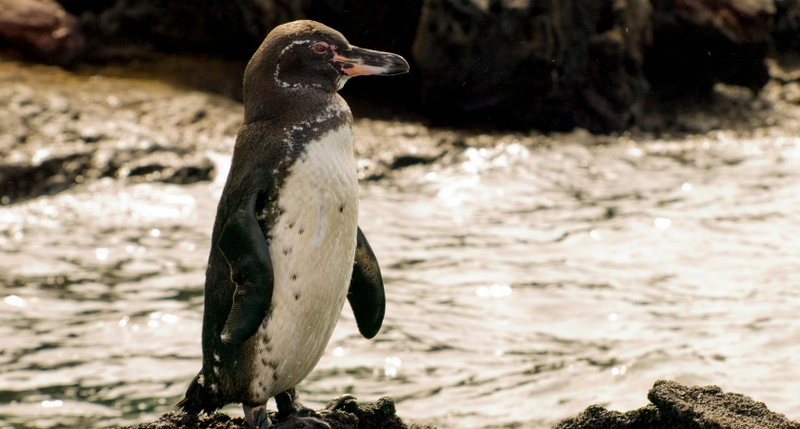  Once a male and female Galapagos penguin bond, they are partners for life.  They feed on fish such as anchovies, sardines, and mullet. They usually watch their prey from below and catch it by surprise. Without a doubt, these penguins are the most unique!